"The Killing Field: In Humanity"
As Cable visits Phoenix on Muir Island to discuss their shared parentage, the Acolytes seek out Omega Red in the sewers of London, offering him the opportunity cure himself of the death spore virus which causes him to drain the life force of others. Later, WHO calls Excalibur for help dealing with attacks in London. 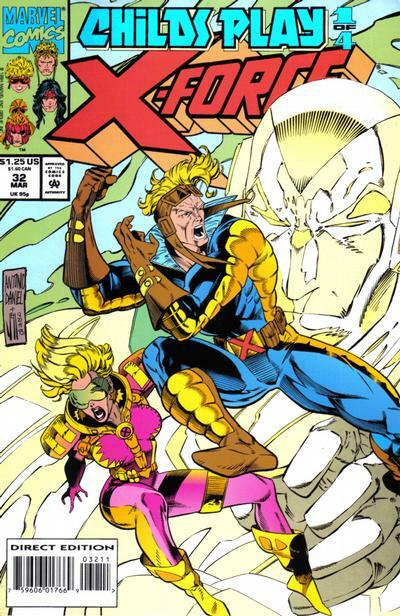 Shadowcat & Phoenix respond, but Moira holds Cable back in order to run some tests on him. During the tests, which render Cable's bionic arm useless, Omega Red attacks, easily dispatching Moira and overcoming the one-armed Cable. When Cable regains consciousness, Shadowcat explains that Omega Red is gathering the equipment he needs to cure himself of the death spore virus, but in doing so, he will release the virus out into the world. 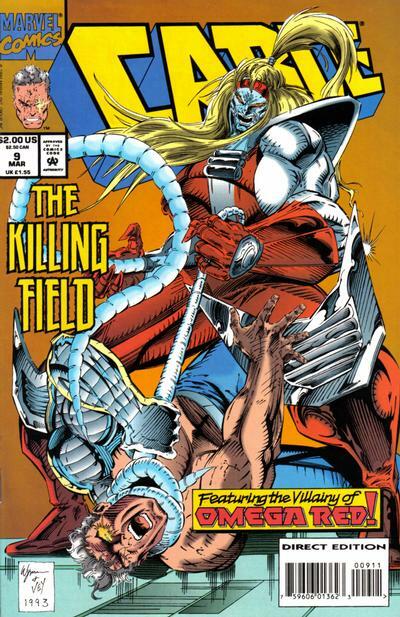 Cable declares he will take care of Omega Red himself, but then Shadowcat reveals where Excalibur learned all this information: the Acolytes. 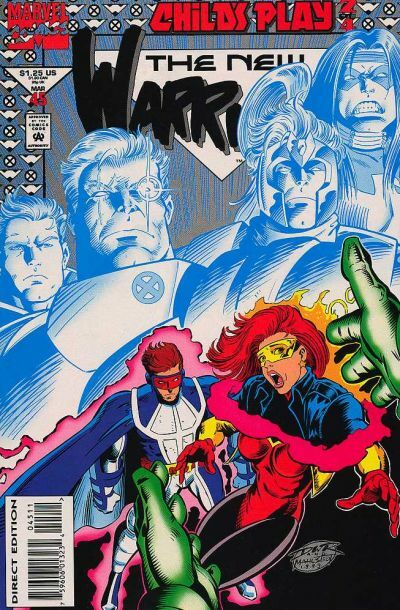 "Child's Play Second Move: Sleeping with the Enemy"
Karma returns as the New Warriors are drawn into the Younghunt. As the Gamesmaster explains the details of the Younghunt to the captive Cannonball & Boomer, Night Thrasher briefs the New Warriors on his and Justice's undercover sting of Shinobi Shaw. They are interrupted by an attack from the armored Tribunal, operating in Graydon Creed's name. In Madripoor, Moonstar & Empath are attacked by Siena Blaze while trying to locate Karma, but Karma manages to take control of Blaze. Back in New York, the New Warriors defeat the Tribunal, aided by the sudden arrival of Justice, who reveals that Firestar is the next target of the Younghunt, and he needs to bring her to Shinobi Shaw in order to maintain his cover. Firestar reluctantly agrees to play along, and Justice delivers her to Shaw, who reveals he plans to use her as bait to get close enough to the Gamesmaster to use the other captive mutants to overthrow him and the rest of the Upstarts. However, though Shaw believes his plans are shielded from Gamesmaster, in truth, Gamesmaster is well aware of them. But just then, Siena Blaze contacts him, announcing that she's captured three more targets: Moonstar, Empath & Karma. The truth about the relationship between Mystique & Nightcrawler is revealed. 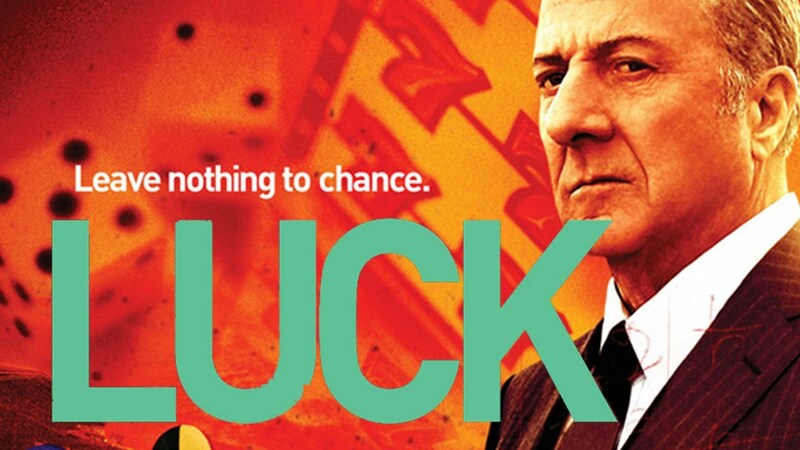 In Washington, Mystique kills a general allied with Graydon Creed, hoping to send Creed a message. In France, Creed receives some information about his heritage that so enrages him, he kills the man who delivered the information. Later, Nightcrawler arrives in America at Forge's request, and with Rogue, attends the general's funeral. There, Mystique sets off a bomb and, teasing Nightcrawler, tells him that if he wants answers about his own heritage, he'll need to go to Mystique's home. Creed proceeds to visit Forge in DC, threatening him, after which Rogue & Nightcrawler meet with Forge and are tasked with apprehending Mystique. Rogue takes Nightcrawler to the house in Mississippi where she lived with Mystique. Nightcrawler finds Creed inside, and he reveals the new information he recently acquired: that, like Creed, Nightcrawler is the son of Mystique. Just then, Mystique arrives, and Nightcrawler uses his image inducer to trick Mystique into confirming Creed's information. Just then, an attack helicopter arrives, called by Creed. 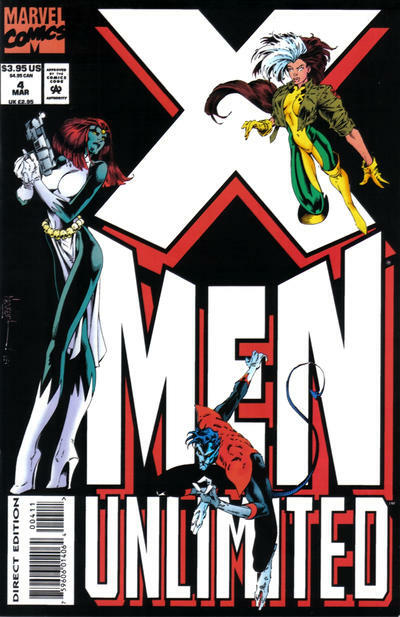 In the ensuing fight, Mystique & Nightcrawler are thrown off a cliff, and Rogue is forced to let Creed go in order to rescue them. But Mystique lets herself fall to ensure Rogue saves Nightcrawler, for reasons known only to her. Rogue & Nightcrawler fly off, with Nightcrawler unsettled by everything he has learned about his family. Phoenix takes the place of Captain Britain in the timestream, who emerges as Britanic. 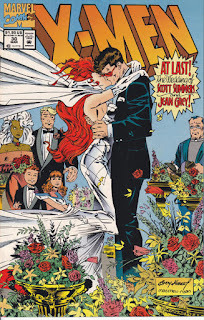 Excalibur returns from the wedding of Cyclops & Jean Grey, with Rachel particularly jubilant, as she now believes it is more likely she may be born into this timeline. However, once they arrive on Muir Island, Meggan confronts Rachel, telling her she can no longer ignore Captain Britain's calls for help. Just as she's about to explain what's happening to the rest of the team, Amanda Sefton arrives, answering Nightcrawler's call for help about Meggan's earlier condition, which causes an angry Rachel to storm off. She once again partially transforms into Captain Britain, and after a heart-to-heart with Kitty, realizes she can't hold off the inevitable. 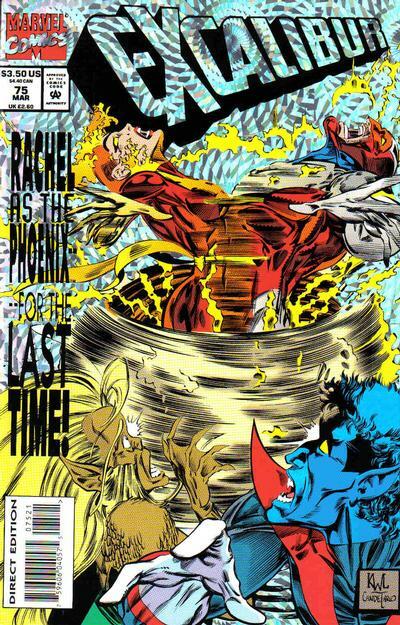 Using Meggan as an anchor, Amanda creates an opening in the timestream, and Rachel is able to find Captain Britain. Saying goodbye to her friends, she pulls him out and takes his place, disappearing into the timestream. However, the Captain Britain who emerged from the timestream is changed, and tells everyone to call him "Britanic"! "Child's Play (First Move) With a Roll of the Dice"
In Nova Roma, Magma is captured by Fenris, but Empath manages to escape. At the Hellfire Club in New York, Justice meets with Night Thrasher and tells him he's learned the next targets of the Upstarts are the surviving members of the New Mutants & Hellions. In Kentucky, X-Force arrives at Cannonball's family home, where his sister Paige tells them how Cannonball & Boomer were captured by Siena Blaze. Elsewhere, Gamesmaster calls a meeting of the Upstarts, reminding them not to kill their targets, and pointing out that would-be members Fenris are already in the lead of the latest game. Back in Nova Roma, Fenris attempts to capture Empath, but are stopped by Moonstar, while Fitzroy confronts X-Force at the Guthrie farm. In New York, Shinobi Shaw informs Justice to either bring the next target to him, or else let one of the other Upstarts take a crack at her, and Justice flies off to confront his girlfriend, the former Hellion known as Firestar. As she finishes getting ready for the ceremony, Jean reads a letter Wolverine sent to her & Scott in his absence. Meanwhile, Hank, Warren, Bobby & Alex struggle to tie Scott's bow tie, before Professor X arrives to finish the job, and lead them all outside. 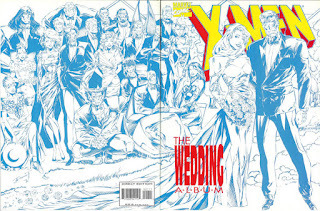 Shortly thereafter, the ceremony begins as Jean walks down the aisle, and then she & Scott are married. As the reception begins, Sabretooth ponders causing trouble, but is dissuaded by an unseen figure. Later, the assorted friends & family members of Scott & Jean mingle and catch-up amid the assorted wedding traditions. 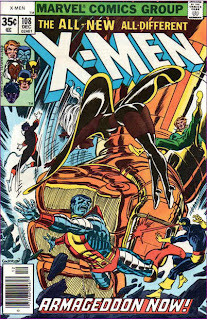 As the evening winds down, Jean pulls Professor X onto the dance floor and uses her telekinesis to share a dance with him. Later, with the guests having retired to bed or Harry's Hideaway for a night cap, Scott says goodbye to Xavier on his way to the airport, thanking him for the life he gave him, and telling Xavier that he loves him. As Scott leaves, Xavier finds himself, in the wake of the wedding, looking at the work still before him, and the people around him, with new eyes, just as he opens his own letter from Wolverine, telling him simply to lighten up. 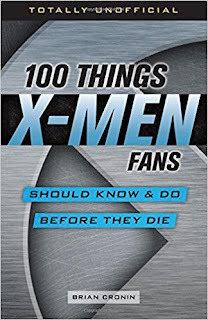 100 Things X-Men Fans Should Know & Do Before They Die is the latest installment in Triumph Books' "100 Things...Fans Should Know" series, which, as the name suggests, catalogs the must-see, must-do, and must-know things for fans of assorted comic books, TV shows, bands and sports teams. With this volume, author Brian Cronin (the man behind the long-running "Comic Book Legends Revealed" articles for Comic Book Resources' "Comics Should be Good!" blog, as well as two previous books of comic book legends) provides new and long-time fans alike a one-volume guide to Marvel's Merry Mutants, highlighting important characters, creators, stories and issues from the fifty-five year history of the X-Men. While the format breaks each entry into a single numbered item, and each chapter is presented in a seemingly-random order (ie it doesn't start in the 60s and end in the present day), the book is an engaging read, as Cronin crafts a narrative history of the X-Men even as he jumps from character info to creator info, from behind-the-scenes stories about crafting specific issues to entries on the various films, preventing the book from reading like a dry recitation of facts in chronological order. Cyber breaks three of Wolverine's claws. Wolverine is surrounded by SAS troops at a bank in Edinburgh as he tries to withdraw money from his Landau, Luckman & Lake trust fund. LL&L agent Zoe Culloden calls off the troops, explaining that someone claiming to be Wolverine assaulted the bank earlier. Wolverine recognizes him as Cyber. Elsewhere, Cyber forces a professor to show him the bones of William Burke; hallucinating, he sees Wolverine's adamantium skeleton, and intends to claim it for himself. 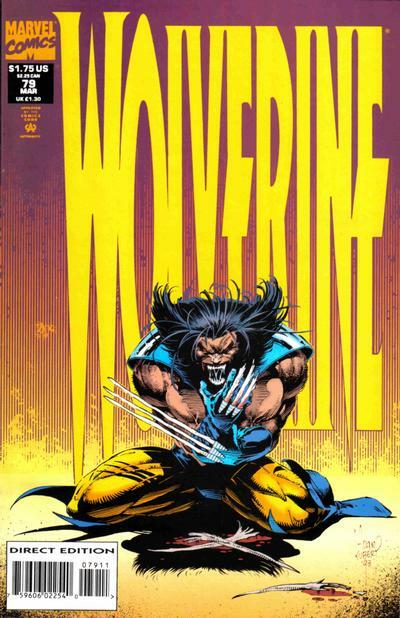 Meanwhile, Zoe brings Wolverine to her office, where she attacks him, believing him responsible for the death of her mentor, Chang. Wolverine gives her his Honor Sword, telling her to scan it for the blood of Chang's true killer. He then leaves, but is attacked outside the office by Cyber. Angry that his adamantium is gone, Cyber snaps off the claws on one of Wolverine's hands, but is then felled by a filing cabinet dropped on him by Zoe, who has verified that Wolverine didn't kill Chang. As SAS troops arrive on the scene, Wolverine & Zoe slip away, heading for Muir Island. 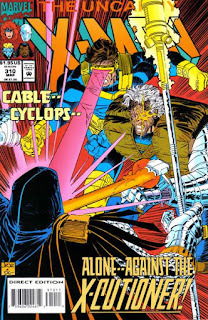 "...Show Me the Way to Go Home..."
On their way to Cyclops' bachelor party, Cyclops & Banshee respond to a proximity alarm in the mansion and discover Cable waiting to talk to Cyclops. At a bar in Greenwich Village, the rest of the male X-Men have gathered, wondering what is keeping Cyclops. Back at the mansion, X-Cutioner teleports inside, and Cyclops sends Banshee onto the party. As Cyclops & Cable hash out their issues pertaining to Cyclops sending Cable into the future as a child, Sabretooth senses X-Cutioner, and alerts Cyclops. As the party continues, the X-Cutioner heads towards the med bay, intent on killing the comatose Emma Frost. 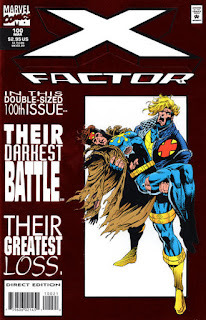 He is stopped by Cyclops & Cable, who work together to force X-Cutioner to retreat. 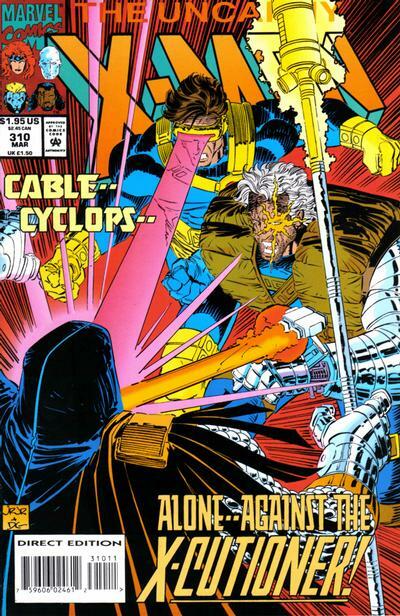 Afterwards, Cable & Cyclops make peace, then Cable teleports Cyclops to the party, and assures him that he'll be at the wedding. 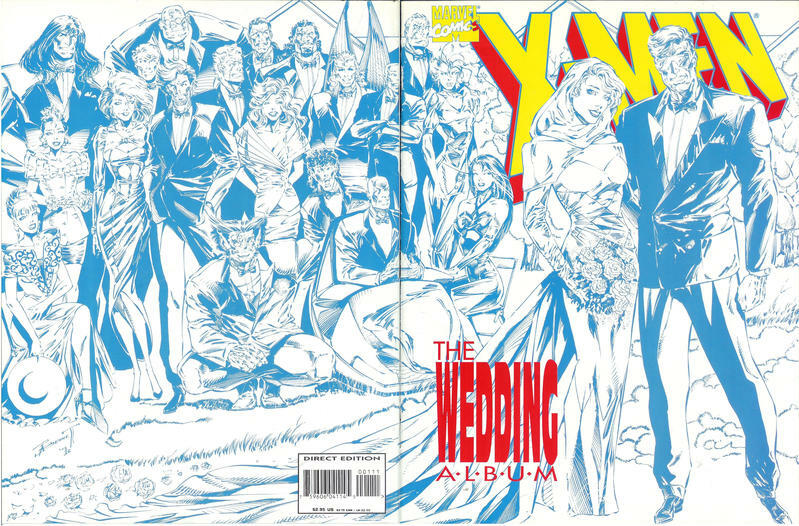 "Something Old, Something New, Something Borrowed, Something Blue & Gold" / "Cut to the Video"
Jubilee reads Jean's diary, and Kitty Pryde creates a video album for Scott & Jean. Jubilee helps Jean go through some of her old clothes, and the pair discuss Wolverine's absence and Jubilee's less-than-positive feelings about marriage. When Jean's fashion designer friend arrives to drop off her wedding dress, Jubilee discovers Jean's diary and, despite knowing better, decides to read it. When Jean returns and discovers Jubilee, she's mostly mad because, while the diary represents her private thoughts, Jubilee should have known that Jean would have talked to her about any of them, had she asked. 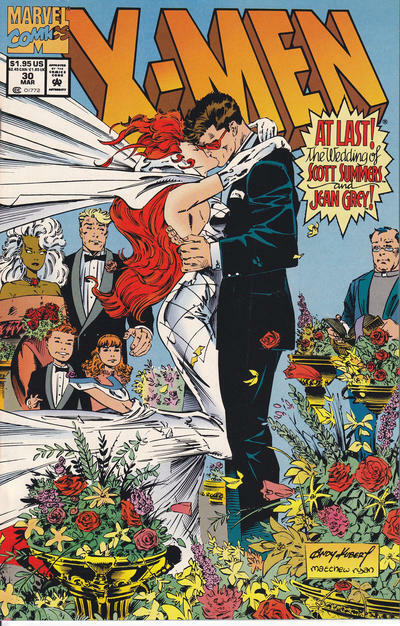 Jubilee apologizes, and admits that reading about Jean's relationship with Scott through the years has given her a better appreciation for marriage, and the pair leave to check out Jean's dress. Five years passed between the fast death of John from Cincinnati and Milch landing another show on HBO. In the meantime, he did produce his ‘70s New York cop drama Last of the Ninth pilot, but couldn’t convince the network to commit to the series. (Some databases say it aired once as a movie, but I can’t find any confirmation of this.) Last of the Ninth was based on Bill Clark’s earliest days on the police force and would’ve been the closest to NYPD Blue Milch had gotten since arriving at HBO. The network vetoed what would seem to be an easily sellable premise, and instead gave Milch permission to go to work on another dream project. This one was about horse racing. And it turned out to be just as commercially viable as a surfing series concerned with the spiritual state of the nation.